One off pieces telling unique stories. 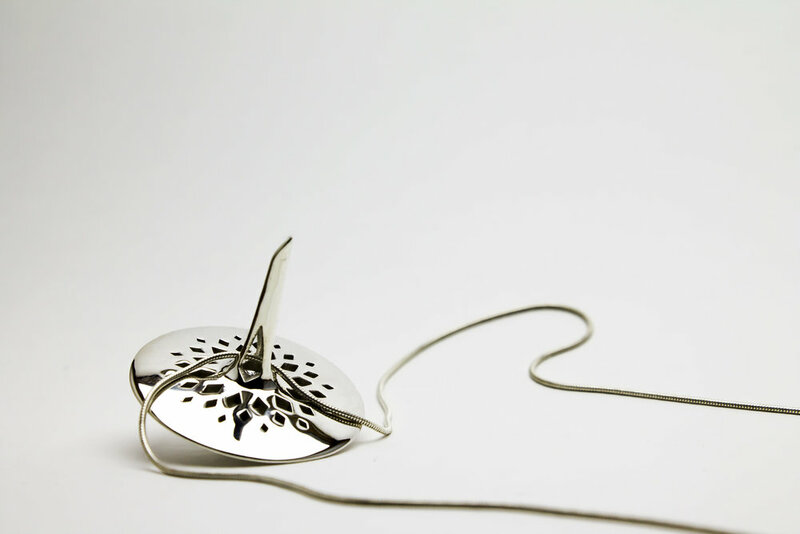 Sundial jewelry. Yes, they do work. Spinning top necklaces inspired from whirling dervishes and their poetry.